My wife probably doesn’t like—check that—I know she doesn’t like it, but I’m on my smartphone a lot at home. I’m checking on sports scores or scanning my social feeds, but I’m doing one thing more than anything else. I’m always checking my email. The Radicati Group estimates the number of email users worldwide is 2.6 billion, and the number of emails sent per day is around 205 billion. That’s nearly 2.4 million emails sent every second! Litmus says on average 54% of emails opened on a mobile device, making email accessible anywhere at anytime. And with shorter attention spans for mobile users, brands really need to consider if their mobile email marketing strategy is where it needs to be. 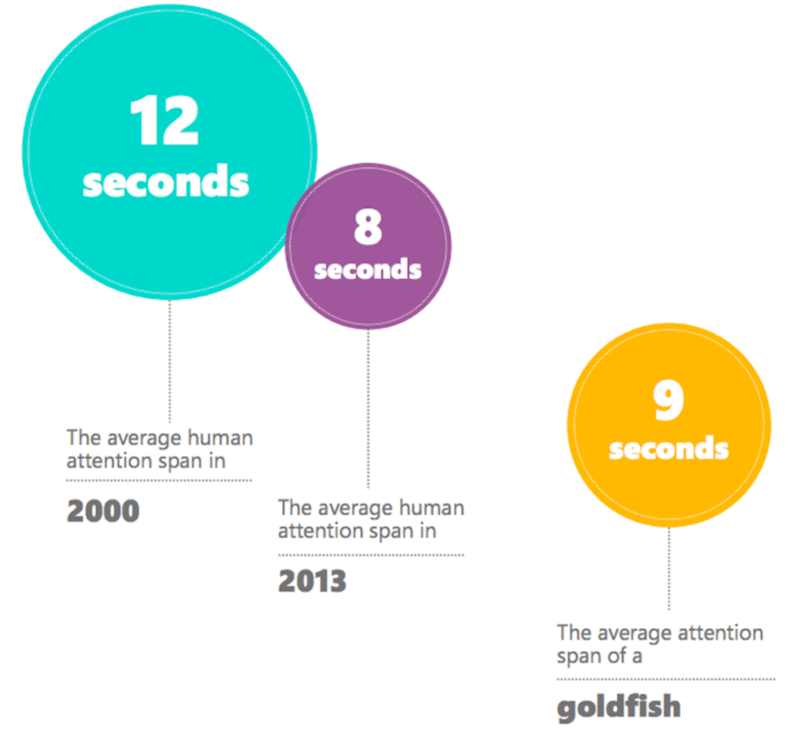 I’m talking attention spans shorter than that of a goldfish. If you want your messages to escape the “immediate delete” category, make sure they stand out and entice action. You need an email optimization plan so that your messages are easy to read across all platforms, particularly smartphones. This still rings true for the mobile space, but to an even stronger degree. 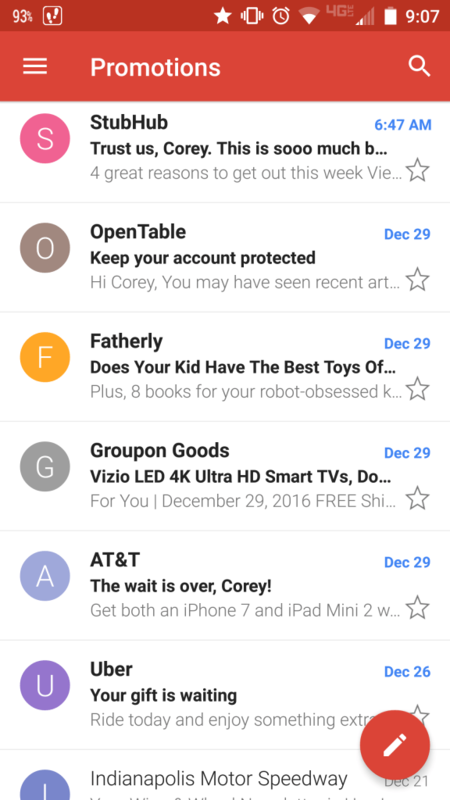 StubHub, Fatherly and Groupon used subject lines with so many characters I can’t read the entire thing. OpenTable, AT&T and Uber all use a shorter subject line I can actually read. Mobile devices tend to cut email subject lines short at around 30 characters. So it’s worth repeating: keep your subject lines short, clean, and concise. And if you need some help coming up with great subject lines, here’s 100 you can borrow! The pre-header text is listed at the very top of your email, above your content. If you refer back to the screengrab above, it’s the text in gray just below the subject line. So trust me: this is valuable space whether designing for mobile or desktop! In addition, if you’re designing a desktop email with an included link to a separate mobile version, the pre-header is a good spot to place it. 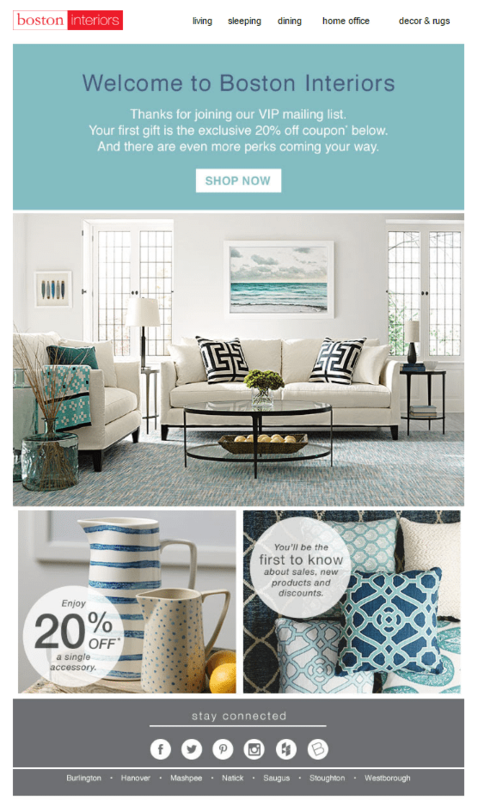 They have this lovely designed welcome message with an accompanying coupon and email dimensions at 600×1015px. Luckily, many smartphones today will automatically resize your email to fit the screen. Have you ever opened an email and all you see is this? Where’s the pretty email from Litmus I always expect to see? Thankfully, this was only an example they recently shared in an awesome best practice article regarding the importance of ALT text. 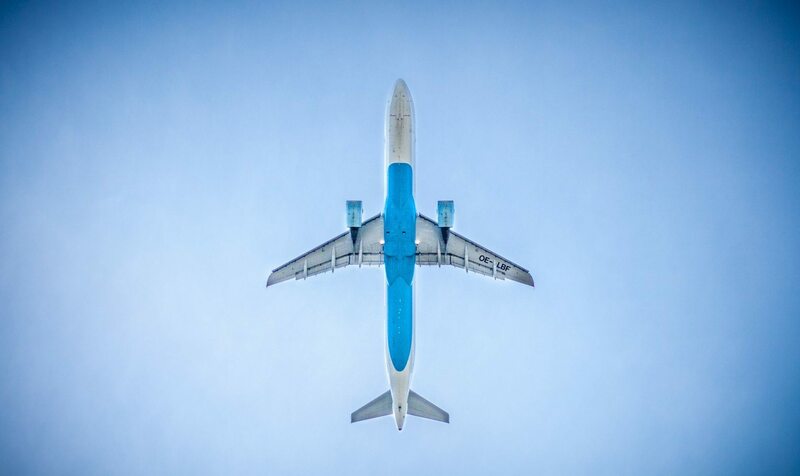 Image-heavy emails, images with broken links, or failing to include a text-only option may land your email in the spam folder, never to be seen by human eyes. Be sure to include ALT text on all of your images, and keep the text in your content down to short, easy-to-read blurbs. As with any email, make sure you have a strong, clear call to action in the subject line as well as the body of your email. Be sure to design your buttons and links appropriately to the overall width of your email for this reason. As for the actually CTA, it could be an offer for a discount, free shipping or a gift along with an online purchase. Their design is very clean and organized without any clutter. 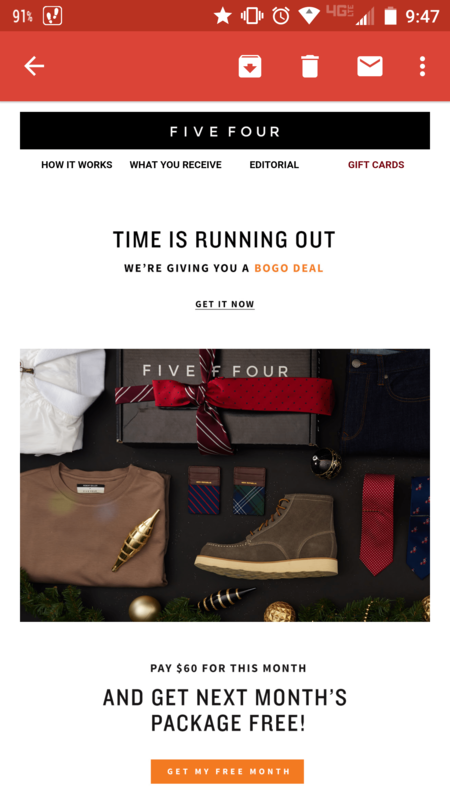 The mobile experience shouldn’t stop as soon as your recipients leave your email. 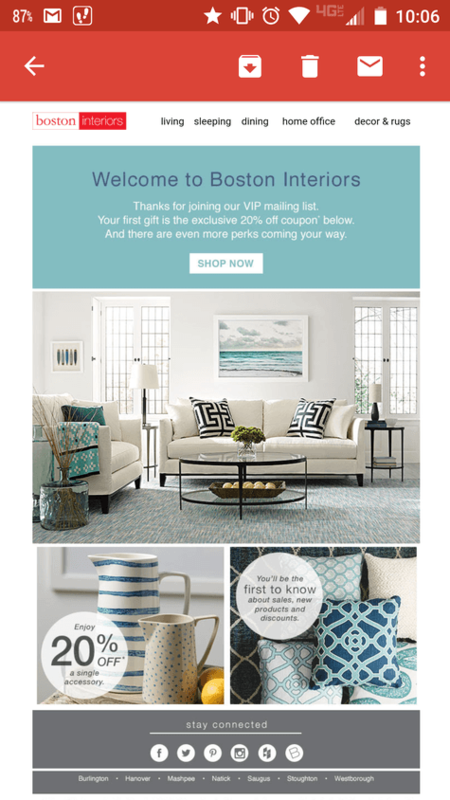 If you’ve designed a beautiful, mobile-friendly email with a clear call to action that dumps your clients onto a horribly rendered website, then what’s the point? Keep your mobile recipients engaged every step of the way, from open to conversion. An entirely responsive website isn’t just a nice to have option for the mobile-friendly emailing company—it is a necessity. This includes responsive lead forms and eCommerce checkouts. Now go out there and send some engaging mobile emails!